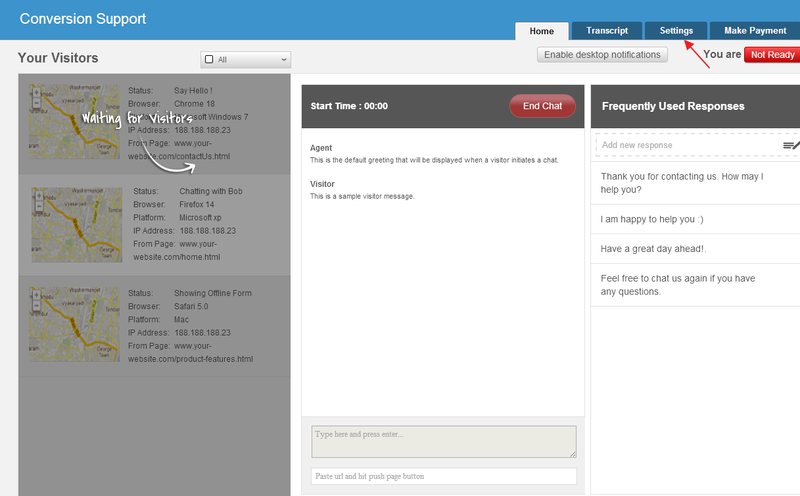 Conversion Support lets you choose either an on page chat window or a pop up chat window for your website. You can always change the type of chat window and choose to show the Pop-up chat window instead of On Page chat window (and vice versa). 2. Under “Settings”, click “Chat Appearance”. 3. Under “Chat Appearance”, click on “Chat Window Type” and select “On-page chat window” from the drop down menu. 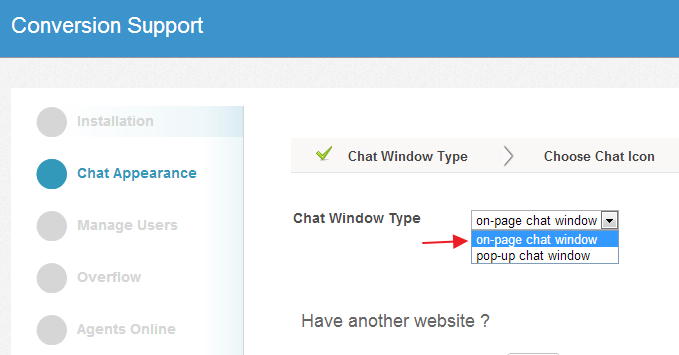 Should you want to change On page chat window to pop up chat window, please refer to this support article.